It is a criminal offence in Canada to produce marijuana or other illegal drugs prohibited by the Controlled Drugs and Substances Act (CDSA). The charge of producing marijuana, whether it involves an indoor or an outdoor grow operation, is a very serious allegation. Penalties for this type of offense often include a period of jail time even for unsophisticated grow operations. Daniel Brown is an experienced drug defence lawyer in Toronto, Ontario. To discuss your case, call him at (416) 297-7200 or continue reading to learn more about defending marijuana grow-op cases in Toronto, Ontario. What is the legal definition of “produce”? What must the prosecutor prove in a marijuana production or marijuana grow-op case? If someone is found not guilty of producing marijuana, can they be found guilty of another offence such as possessing it? Are there ways to defend against an allegation of marijuana production? What are the penalties for producing marijuana? What are the consequences of a marijuana grow-op conviction? (b) cultivating, propagating or harvesting the substance or any living thing from which the substance may be extracted or otherwise obtained. Offers to produce illegal drugs are also captured by this definition. To prove someone produced marijuana, the prosecution must prove beyond a reasonable doubt that the substance grown was marijuana, that the accused knew it was marijuana and that he produced it or aided in its production. If the accused person is only charged with producing or cultivating marijuana, they cannot be found guilty of possessing the substance unless they already face that charge and the evidence supports that they were in possession. Possessing marijuana is not a lesser offence of cultivating or producing marijuana. Follow the link to learn more about drug possession charges and drug trafficking. Because grow-ops and other drug production cases typically involve private property such as houses and farms, search warrants are the most common method used by the police to collect evidence. 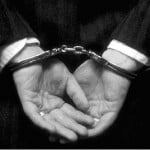 When a search warrant is obtained improperly, the evidence may be barred from the trial. In marijuana grow op cases, faulty warrants are the single most common reason why the prosecution fails to secure a conviction. The penalties for producing marijuana range from no jail time to a maximum of seven years in jail. Follow this link for a more detailed review of the mandatory minimum sentences which may apply to marijuana production charges. In sentencing someone for producing marijuana, the court will look at a number of factors to determine an appropriate sentence. These considerations can include the number of plants produced, the level of sophistication in the operation, the quality of the drug being produced as well as the circumstances of the offender and their past criminal history. If you or someone you know is charged with marijuana grow-op or other drug charge, you should immediately contact a criminal lawyer to determine your best defence to this type of criminal charge. Daniel Brown can be reached for a consultation about your case at (416) 297-7200.